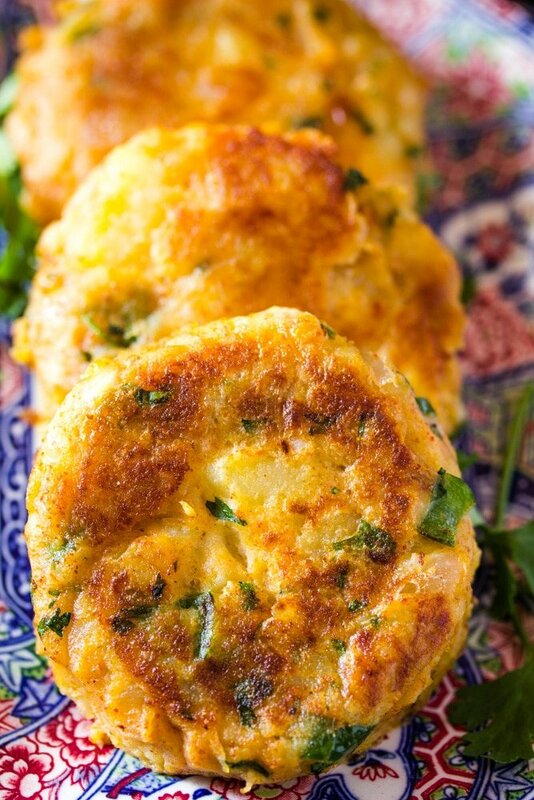 Aloo Tikki is a very popular Indian and Pakistani street food snack. It’s made with mashed potatoes, a few spices and dipped into an egg wash before being fried. 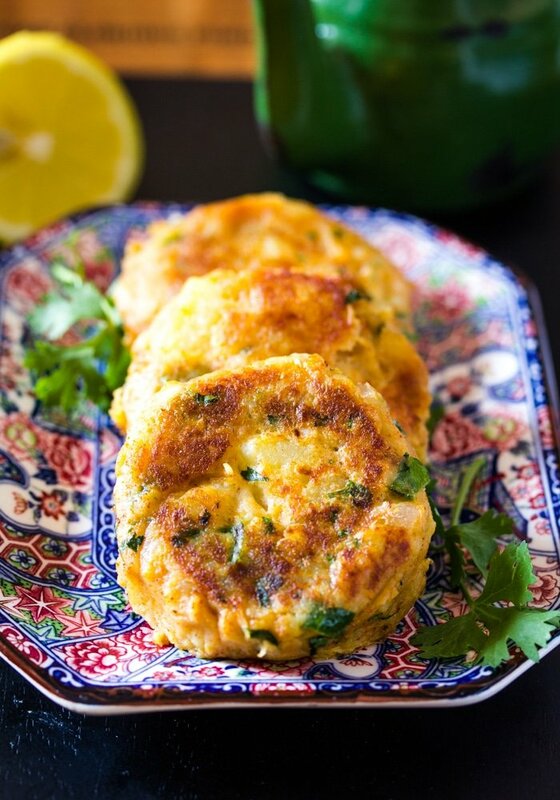 Follow my step by step photos to make perfect Aloo Tikki patties! Aloo Tikki is a delicious snack to have with your afternoon tea. May I suggest some Karak Chai (Middle Eastern Tea) with these delicious Indian fried potato patties? Btw did you know that babies can serve as really good alarm clocks? My 8 month old son is going through sleep regression, and so we’re up at 4 am every single morning. While he parties, I lie on the sofa thinking of what it must it feel like to sleep through the night. It’s been a few years since I slept through the night, so I don’t know what that fun stuff is like. Sigh. 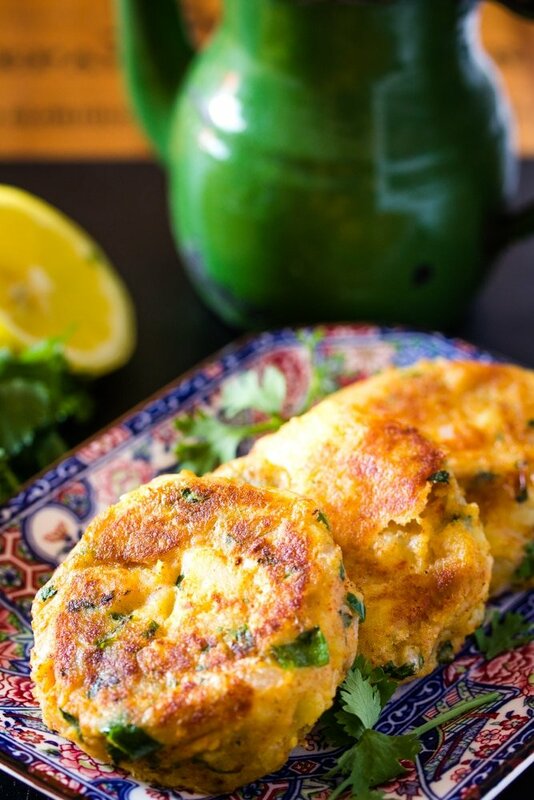 Aloo Tikki is a great versatile snack and is super easy to make too. Aloo Tikki can be eaten on its own, or served as a side dish with mains such as this Daal chawal (lentil curry and rice) and it can also be used to make Aloo Tikki burgers, or just served at tea time. All the yumminess that’s possible with this simple alu tikki! 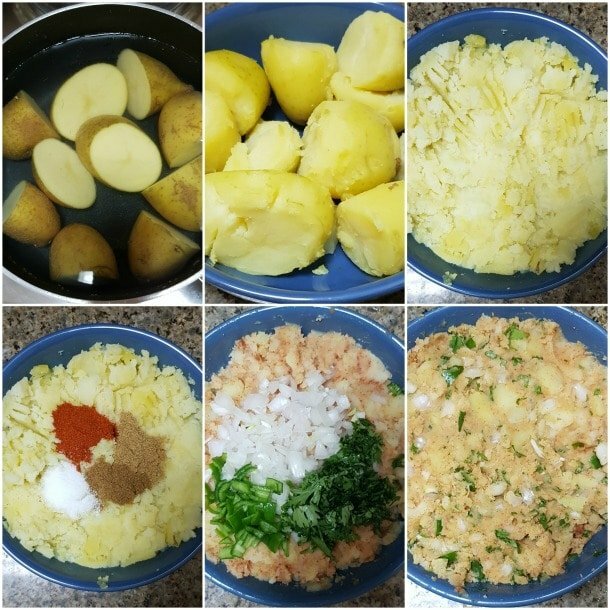 There are three steps to making Aloo Tikki. 1.) Boiling the Potatoes: Duh, Wajeeha, we all know how to boil potatoes don’t we? Well, yes I hope so. But don’t over boil the potatoes, or else the aloo tikki will never bind and will fall apart all over the skillet while frying and that’s no fun. So boil the potatoes until fork tender but no more than that. Says the girl who once forgot the potatoes boiling on the stove and then was left with really sad watery mashed potatoes. 😛 Once the potatoes have been boiled, mash those bad boys. 3.) While no binding agent such as bread crumbs is added to the potato mash for these patties, we do dip each potato patty into an egg wash to make sure they don’t fall apart. And then fry these babies up until they’re golden. Can Aloo Tikki be Prepared in Advance? Yes, the Aloo Tikki can be prepared and stored in the refrigerator for upto 2 days. 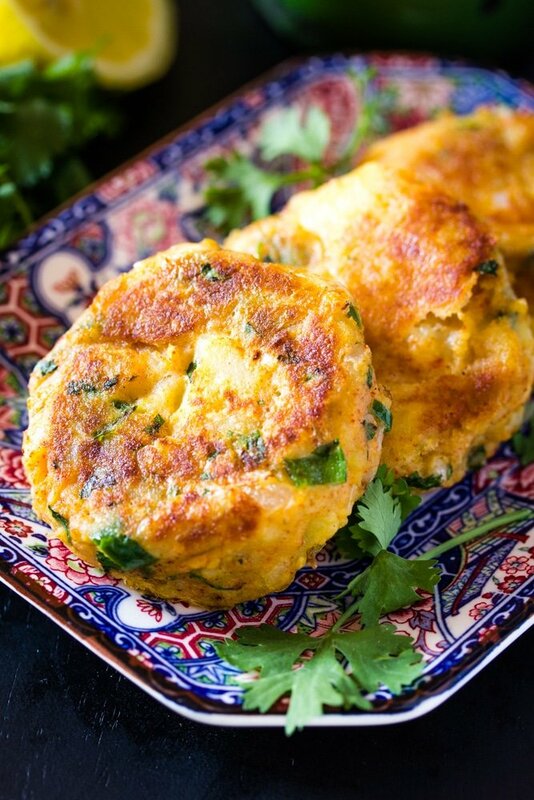 When ready to fry the Aloo Tikki, just dip the patties into the egg wash and fry. Can Aloo Tikki be Frozen? 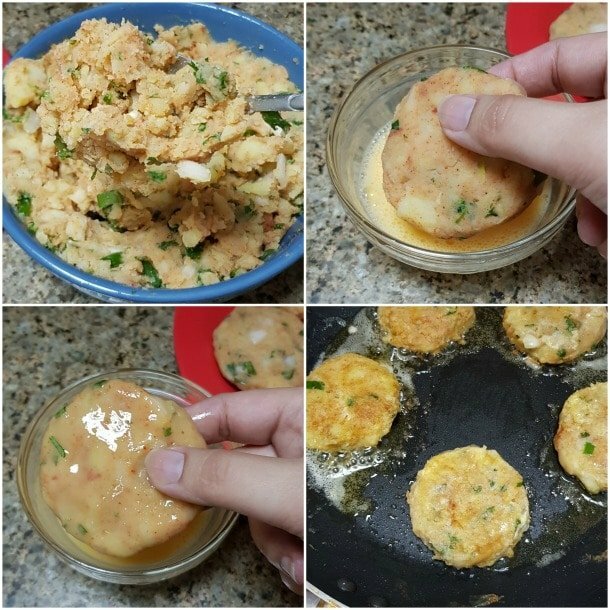 I don’t recommend freezing Aloo Tikki, because potato has a lot of moisture so when you thaw the patties it would likely release a lot of water which would affect the texture and taste of these Aloo Tikki. How to Make Crispy Aloo Tikki? 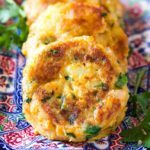 Aloo Tikki is made a lot of different ways, and this particular recipe doesn’t make very crispy patties, but they’re still super delicious. If you’re looking for a really crispy Aloo Tikki though then check out these Crispy Golden Potato Cutlets. What’s your favourite street snack? Let me know in the comment section below! 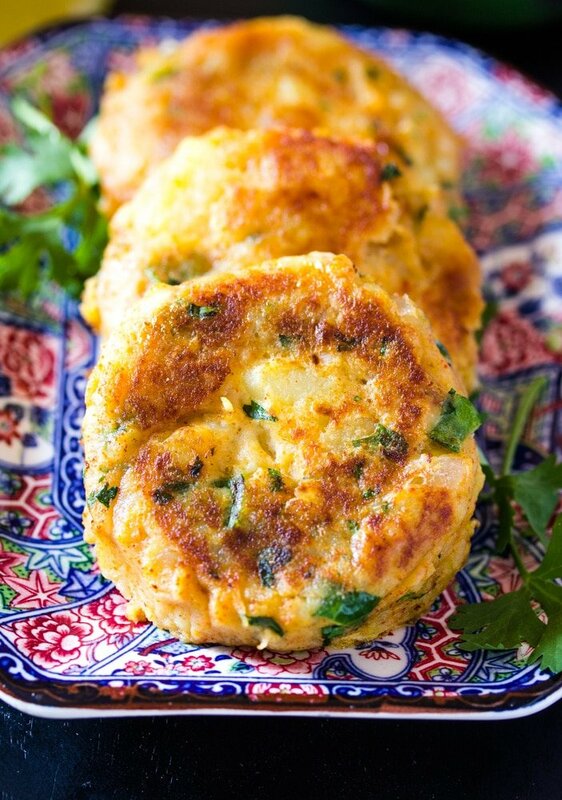 Aloo Tikki is a very popular Indian and Pakistani street food snack. It’s made with mashed potatoes, a few spices and dipped into an egg wash before being fried. Mix all ingredients (except for the egg and oil) in a medium bowl until fully incorporated. Place in refrigerator for 30 minutes or upto 24 hours. 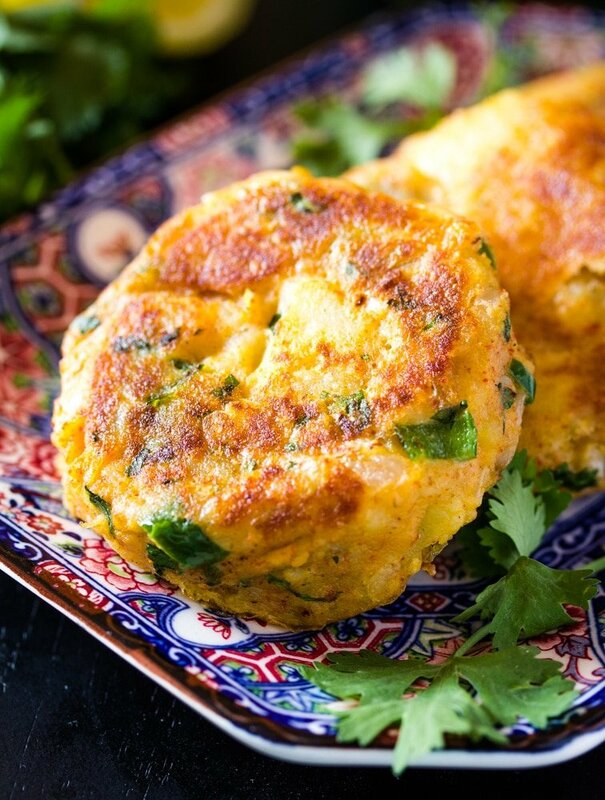 Dip the tikki into the egg wash and fry for 3-4 minutes on each side until golden brown. Oh, yum! I need to make these right away! Thank you for sharing the recipe. They look absolutely perfect, I love aloo tikkis an these are just made for this weather we’ve been having! 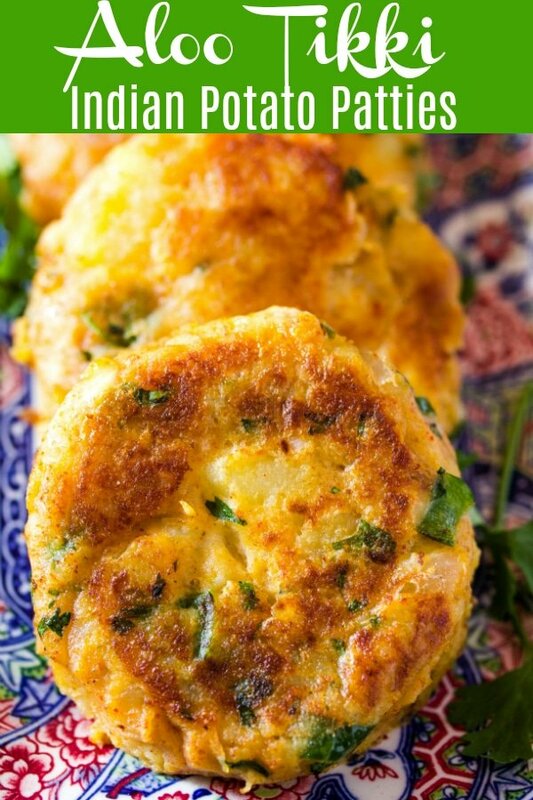 The seasonings in these potato cakes sounds so good! I love that you eat these as a snack. I’ll take potatoes anyway I can get em! Yum! I have never had this dish, but I think I am going to have to give it a try. It looks really good and something I imagine would be spectacular to snack on! This dish looks so tasty. I love all those lovely spices in it!